Schumacher Race Works LLC is a full service engine shop, specializing in KTM 4 strokes, but with experience building all other major brands as well. We are a Millennium Technologies dealer, utilizing them exclusively for Nikasil coating of cylinders as well as some head and crank work. A fresh 525XC engine Ready to Race! Schumacher Race Works is also a Thumper Racing dealer. Thumper Racing offers a wide array of services including head work, big bore kits, and crankshaft services, and specializes in KTM engines. 2003 KTM 525 SX “Ultralight” Crank, welded and trued with a Carillo Rod! 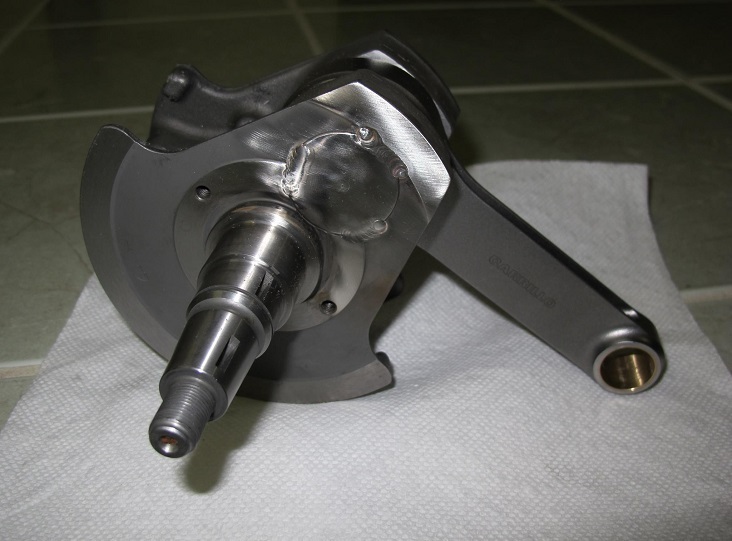 Combined with the counter-balancer, this crank took 2.1 lbs off the rotating mass and made a 525 that had all the bottom of a 525, but revved freer than a 450! 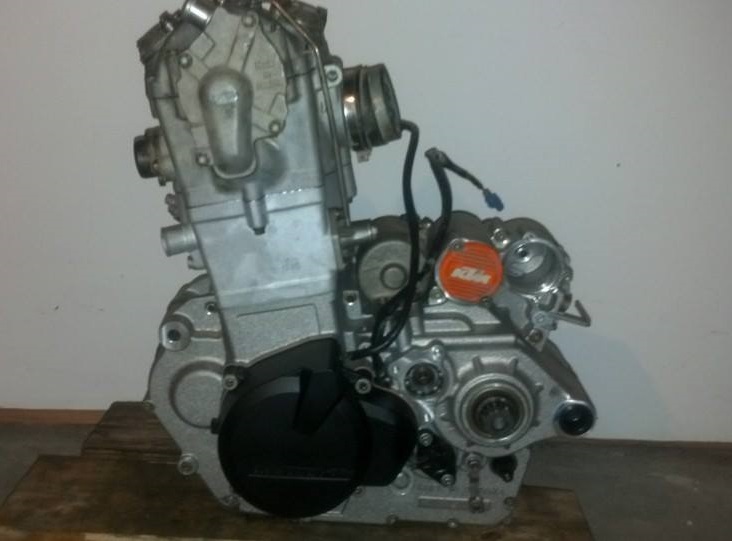 We have built everything from 125 2-strokes up to 576cc 4-stroke stroker KTM engines, and especially for the KTM RFS engines, have a lot of experience with different bores, strokes, cams, etc., and can help you save time and money by selecting the correct parts for your specific needs the first time! Drop us an email at SchumacherRaceWorks@gmail.com and let’s get talking about what you’re looking for today! Full Disclosure 3: 2018 Big Buck GNCC on a 300 XC ATV! Trevor on Full Disclosure 3: 2018 Big Buck GNCC on a 300 XC ATV! Ken Jones on Full Disclosure 3: 2018 Big Buck GNCC on a 300 XC ATV! J Roc on New Frame, Sub frame and Swingarm for the 2015 bike!